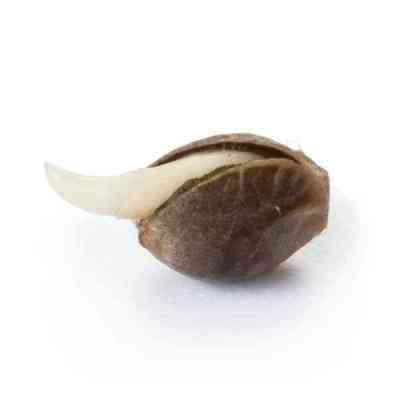 After the haze genetics came to Holland and several hybrids were made, an American expat would later combine one of these hybrids with a male derived from old school haze seeds creating the Amnesia Haze. Royal Queen's Team felt their collection of marijuana seeds would not be complete without one of the best hazes to ever be smoked, so they got a hold of some Amnesia and made feminized seeds. Royal Queen's Amnesia Haze is a well maintained plant growing over a metre tall, to about 2.10m. She can be grown outdoors but will require hot weather like Australia, North Africa and California, however may need to be grown in a greenhouse due to her long flower period. Amnesia Haze is one of the Royal Queen's best yielding cannabis strains, producing 70-80 g per plant with up to 650+- g per metre squared under a 600w light. She can produce big outside, with full sun, reaching as much as 700g per plant. However extra care should be taken outdoors as this is a sensitive plant, so problems with weather, bugs or irrigation will harm your final harvest. The only down side with Amnesia Haze is the long flower time required for 12 weeks. Although this is high enough to make most commercial growers run for the hills, true cannabis connoisseurs will find the wait more than worth it. 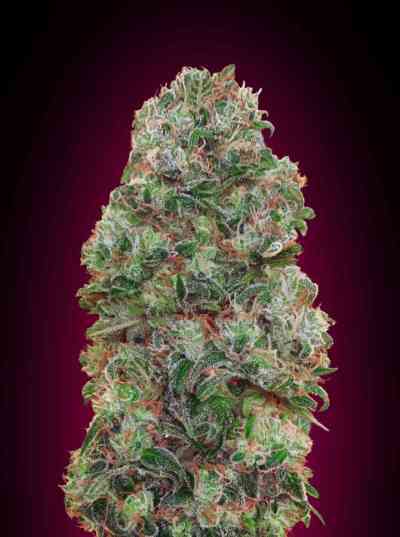 Amnesia haze is suitable for both hydro and soil grows, sea/screen of green too. So after 4 months of growing, 2 weeks of drying and curing and your finally ready to smoke the Amnesia Haze that has taken you so long to grow. After your 1st joint or bong we are certain you will be more than satisfied with the smoke after waiting such a long time. Amnesia Haze really is one of the best cannabis strains in the Royal Queen's entire stock. Every hit comes with a truly psychedelic head high, likely to send any user straight into the astrosphere. The flavour is fresh and fruity like you expect from a haze which only makes the smoke so much more enjoyable. Smokers are warned this is a strong smoke and, as the name suggests, users can often turn their brains off completely after a session.